I was pleasantly surprised on Tuesday 22nd, when I got a message on my Facebook page from Edumed Trust. The lady in charge of the Nairobi Cake Festival had found my post on the cake festival 2014 and left me an apology for my strange experience to do with an Orange Tag. I gave her my number, and she actually called me back. She was amazing and apologetic. It was great talking to her because it washed away that whole experience for me. I’m grateful that she called me. The Cake Festival 2015 is on the way back next year, and I look forward to it, so should you. The festival is a premier industry event in Nairobi. It offers a unique opportunity for industry gurus; home based traders, as well as starters to not only open up their service to thousands of visitors but also establish links in the industry under one forum from hospitality, wedding business, catering, latest cakes, designs and dessert to beverage and kitchen equipment. The festival is enriched with healthy options, education about the industry & wide range of opportunities that draw thousands of visitors. All this makes it the perfect place to reach the retail or food service. Join the Cause, Sign up Next Year as a Baker, or just go and enjoy the Day eating Free Cake. 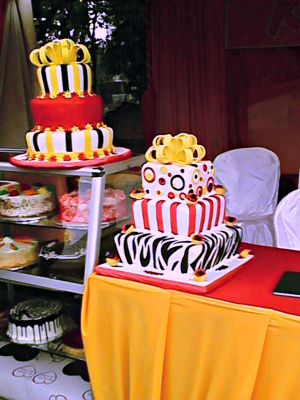 See you at the Nairobi Cake Festival 2015. Great, I’m sure it will be loads of fun! !